Reagent Grade Acetone, 16oz for sale. Buy from The Science Company. 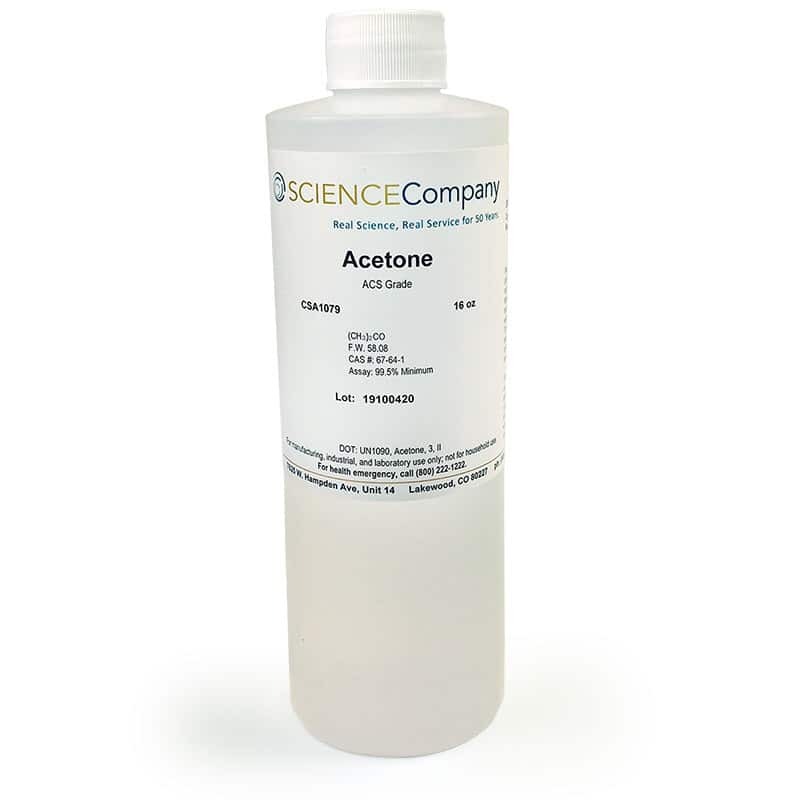 Our 99.9% Acetone, ACS Reagent Grade, is of such contaminant-free purity it is desired as a special-purpose solvent, particularly in cleaning laser optics and other delicate lenses and mirrors. 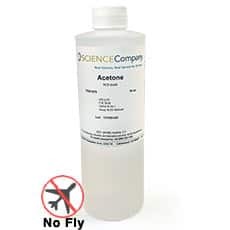 Acetone is colorless and mixes with water, alcohol, chloroform, ether and most oils. It evaporates quickly. Caution: Acetone is flammable and a dangerous fire risk. 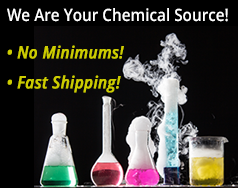 Only ships to destinations within the 48 contiguous US states and Canada using Standard Ground by FedEx or UPS • No air deliveries allowed • Customers in Canada should expect additional duties, taxes, and customs clearance service fees due upon delivery. 710 Spirits, High Purity Extraction Grade Blend, 5 gal. 710 Spirits, High Purity Extraction Grade Blend, 1 gal.